Rhomboids are an important layer of the back muscles which are important for shoulder strength and flexibility. Bodybuilders who are looking forward to strong shoulders for lifting purpose or to reduce the risks of injuries should necessarily include these exercises in their regular training session. If these muscles are strengthened and flexible, there are reduced chances of straining or hurting the back muscles. Rhomboids are also responsible for building stability of the back and facilitate in shoulder movement. There are a number of exercises which are highly recommended for these muscles strengthening, improving flexibility and in building power. Here Are 5 Rhomboids Strengthening and Flexibility Exercises For Bodybuilders. 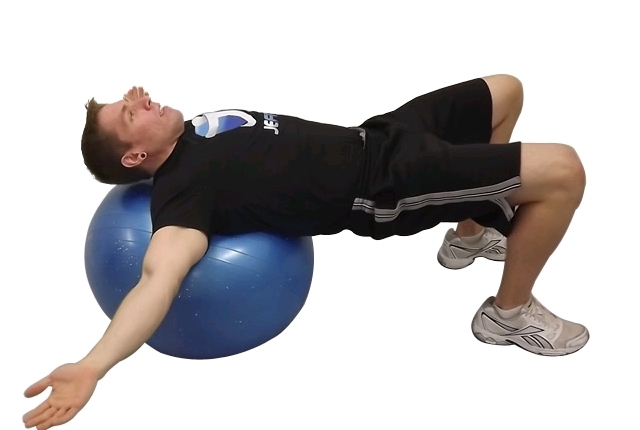 Start the workout by lying down comfortably on your stomach. Your arms shall be by the sides. You need to slowly tighten your rhomboids muscles by slowly squeezing the shoulder blades together. You will also be slowly moving your arms and the chest from the ground. Your neck shall be straight at this point. You will stay in this position for at least two seconds. You will then get back to the start position slowly. You need to repeat 10 times. Do the exercise in sets of 10. Remember to do the workout as you keep your palms facing down. In this exercise you will be using your own body weight as a tool to strengthen the rhomboids muscles, the back muscles and also the shoulder muscles. You need a low horizontal bar for the workout. It should be placed at three three feet up from the ground. You can use a squat bar also which can be placed on a rack. 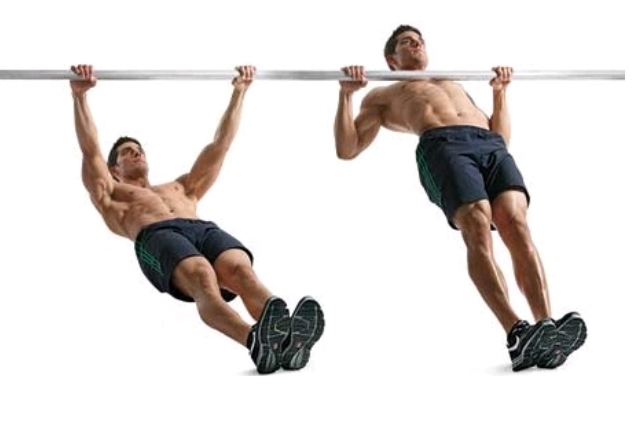 You need to hold on to the bar with your hands and position them shoulder distance apart from one another. You need to crawl just under this bar so that the chest is positioned below it. Your feet shall be at least hip distance apart. You need to keep your buttocks tightened. This will help in preventing the muscles from sagging. Inhale and slowly pull your body up till the chest muscles touch the bar. You will then again exhale and move your body down so that your arms are completely extended. You need to do three sets. Each set shall be of 12 repetitions. Start by sitting down comfortably as you keep your back straight. You can also stand straight if you are more comfortable. Keep your chin comfortably tucked in. Your shoulders will be back a bit. You need to comfortably tighten the rhomboids muscles at this point. This can be done by slowly squeezing your shoulder blades together as much as you can. If you feel any kind of pain you should stop at that point. Stay in that specific squeezed position for at least 6 seconds and then get back to your original position. You need to do this 10-12 times for a set for best results. Do 3 such sets when you are starting the exercise. In this exercise, the shoulder blades are retracted together with the use of gravity combined with deep breathing. Deep breathing is helpful in improving circulation. The spine and rhomboid muscles are relaxed. Start by kneeling on your knees and hands. Your hands will be just below the shoulders. Your knees shall be below the hip. You need to slowly inhale in your belly and then expand. As you exhale, you need to help your belly go closer to the ground. In this step, your shoulder blades will be getting pulled close to one another without much of your effort. Your rhomboid muscles shall be extended. You need to allow your head drop comfortably. Your chin shall be close to the chest. You need to do this workout for at least two minutes. It should be done in sets of three. To do this workout, you need to kneel down with your back straight. Keeping the back straight helps in stretching the muscles and also improves the posture during a workout session. You can also do this by standing but your back shall be straight. You will hold a resistance band in your hand in a comfortable position. Now, slowly start pulling the arms backward as you tighten the rhomboids. You will be slowly squeezing the shoulder blades at this position. Stay in this position for at least two seconds and then get back to the position where you started. You need to do three sets, each of which shall have at least 10 repetitions. If it starts hurting at any point, you should stop doing the workout immediately and try some other time.